I’ve come across some pretty amazing DIY decorative pillow tutorials, so I thought I’d pass along some of my absolute favorites to you! I hope you find these as inspiring as I did! 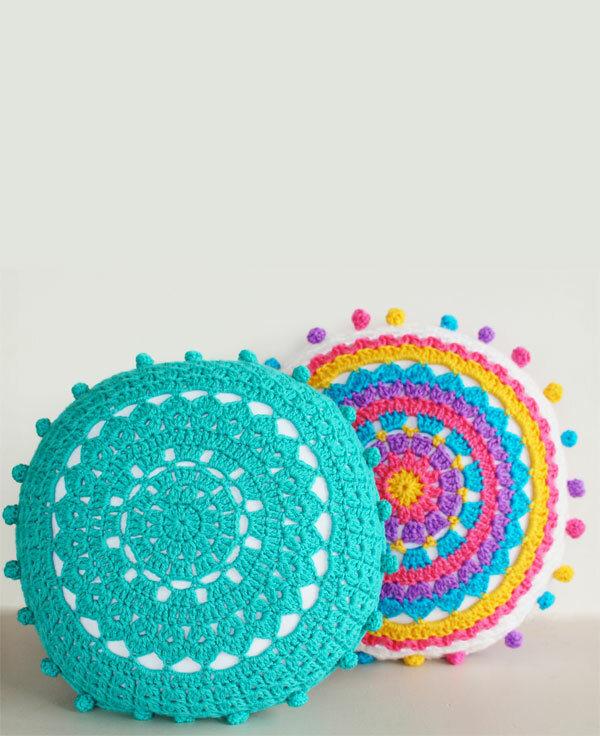 Learn how to crochet pom poms and add them to these pretty crochet mandala pillows. Pattern included.